Back in 1990, when Twin Peaks first appeared on television, audiences quickly became drawn into the mystery of Laura Palmer and the darkness lurking in the woods around the town. It was a talking point – the morning after every weekly episode – and the phenomenon of trying to figure out what it all meant took firm hold on viewers around the world. But, this is the work of David Lynch and Mark Frost so, as much as it was fun to attempt to figure out the implications of what we had just seen, predicting what would happen in the rest of story was a far more complex undertaking. There had never really been anything like it on television before, so it felt very much as though we were watching a new era come into being – and what an era it’s turned out to be. In the past quarter of a century, the medium of dramatic, narrative television has changed from an essentially second-rate form of entertainment, to artistry of such weight that it poses a real threat to the power of cinema. We now have ‘event’ television and limited series that draw the talent of established filmmakers and performers to the small screen, and deliver long-form, episodic storytelling of the highest quality. Twin Peaks – with its cinematic heritage and attention to detail – made that evolution possible in 1990, and it was far ahead of its time. It’s about to benefit from its own revolution, however, as the show returns to our homes via Showtime on May 21st, 2017, and slips into broadcast schedules that are now more than ready for it. But 25 years is a long time. There will undoubtedly be viewers tuning in to this revival that had not yet been born when FBI Special Agent Dale Cooper first drove into Twin Peaks to investigate a local murder. These viewers will be coming to this new series with a different perspective – having already enjoyed the creative sustenance of network series and streaming content, of which the original seasons of Twin Peaks were the precursor. But these people will inevitably find themselves drawn in soon enough – because resistance is futile where David Lynch and Mark Frost are concerned. This is the wonderful artistry of Twin Peaks – it’s a story with such depth and complexity, that you can find something new and revealing every time you watch. Every way you look at it provides a brand new possibility. In the first season, we obsessed over the identity of Laura Palmer’s murderer. 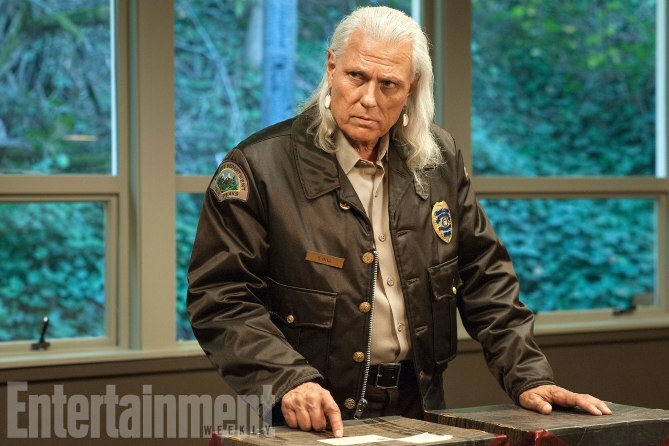 In the second season, we wanted to find out about the Black Lodge and the White Lodge, while the cliffhanger left us desperate to know what would happen to our hero, Agent Cooper, who finished the show in a very different state to the way in which he began. And now, we have season 3 – with many questions still to answer and countless threads to follow. We can certainly expect the 18 episodes to unfold in such a way as to make them accessible to new viewers, as well as appealing to the established fanbase. But it’s also a continuation of the previous narrative, which means the history of Twin Peaks will have an impact on theories about the direction in which the plot might be headed. So, with the previous seasons (and the prequel movie) firmly in mind, let’s take a look at possible theories regarding the upcoming episodes. Some are easy to dismiss, while others are less so – but either way, it’s going to be fascinating to finally find out which, if any, are true.